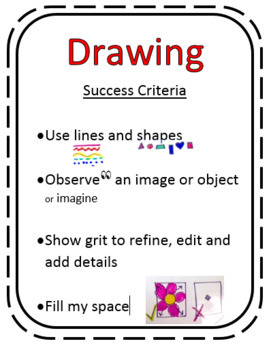 This is a freebie download to teach success criteria for great drawings in the art room or classroom. Students use lines and shapes to create great drawings and fill their space. Aligns with the National Art Standards.